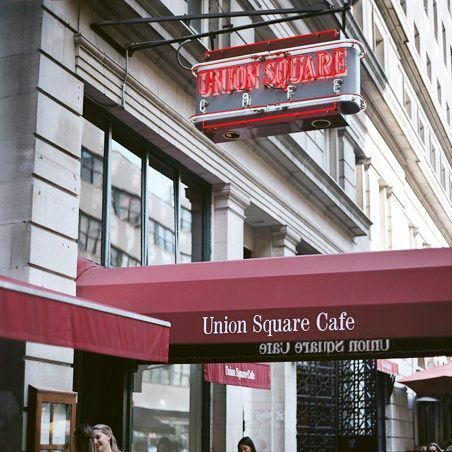 Lately it feels like every restaurant in Manhattan is closing — or will be soon — because of real estate issues: Union Square Cafe will move when its lease expires at the end of 2015. Wylie Dufresne will shutter wd~50 later this year. Meanwhile, favorites like August, Sorella, Bereket Kebab House, and others are all goners, too. (And Grub hears at least one big-name chef’s rent has recently doubled.) It’s alarming, but does it really indicate a larger problem, or is the timing just strange coincidence? To find out, Grub talked to Julian Hitchcock, an NYC real estate veteran who brokered all nine leases for Gotham West Market through KAM Hospitality, and recently started his own consulting firm, the F&B; Group. He explained the real reason all these leases are skyrocketing, why he thinks NYC isn’t necessarily in danger of turning into an island full of banks, and where independent restaurants can still feasibly afford to open. It seems like every week, another major restaurant closes. Is the issue of rent spikes as dire as it seems? I think it is serious. Rents are incredibly high right now. But for most people, it just becomes really easy thing to blame the landlords, and what people don’t realize is that they take an incredible amount of risk in buying these buildings. When rent will double or triple at the end of the lease, a lot of times, that building has changed ownership along the course of the lease. And a lot of times, that landlord is not being greedy — that’s just what the rent should be based on what they paid for the building. So when it’s the end of the lease and they can finally raise the rent, sometimes after 20 years, that’s when people flip out. But it’s just regular market forces that will drive restaurants out of business, because there’s no way to easily pay $500 or $1,000 per square foot in rent and sell food and beverage. What’s the common duration of a lease? Ten years. That means that that landlord typically received 3 percent increases over the last ten years, but the prices overall in Manhattan have gone up more than 3 percent per year. So most of the time, the restaurant’s been paying under-market towards the end of their lease. What kinds of establishments have a chance of surviving in these spaces? The only kinds of places that can survive in those types of situations — and I don’t count wd~50 or even Union Square Cafe, as I don’t think that the rent they’re asking for now for Union Square Cafe, around $650,000 a year, is so high that a restaurant can’t survive there; I think it’s in a weird way still reasonable — but there are plenty of spaces around town where the only kinds of places that can survive are places that don’t have to make money. They can just become a billboard. That’s the only type of restaurant that can survive: one that can take a hit because it needs to be in New York — to have its brand represented here, and so it essentially just becomes marketing dollars. Like a Potbelly — any kind of chain that’s big enough that they don’t need to make sure that each store makes money independently. Starbucks doesn’t have to necessarily make a lot of money on a per-store basis. Around what can a restaurant pay per square foot and still make money? They never want to pay more than 10 percent of their overall gross sales. More and more places are going to have to swallow 10 percent and be okay with that, whereas 10 percent used to be the worst you wanted to pay. It’ll be 15 percent, eventually. Which restaurants are the most at risk? Fine dining, probably. It almost always has to be supplemented by a hotel because there’s too much wasted space. It’s hard to pay the lease, even though it’s the most expensive place to eat out for guests. Hotels and brand-new developments, like these multi-operator marketplaces, are going to really be the incubators of new talent. Do you think there’s any clear solution? The only way around it is more development, I think. So build more retail, build new development, and those landlords have more to lose, so they do care what’s going into their spaces. Places like Gotham West and Brookfield Place: They are getting really exciting tenants because those developers have additional reasons to not just put another Duane Reade or a bank there. If you own a gigantic building with hundreds of offices above it, then retail becomes more of an amenity. You’ll care about what is in the space and you’ll want the local, hip restaurants coming in. What neighborhoods are more stable? Where would you recommend a first-time restaurant owner start a business? The only place restaurants can go anymore is the perimeter of Manhattan: Upper East, Upper West … Harlem has a lot of cool new things going on. And if you’re a first-time restaurateur, the East Village or Lower East Side. That’s sort of the last frontier. There’s still affordable space over there; it hasn’t gone totally crazy. The problem is that there are no offices over there, so it’s only dinner. Williamsburg’s not affordable at all. And in Carroll Gardens, there are no vacancies and it’s very expensive. But there are parts of South Park Slope. Red Hook is certainly a place you can still open as an independent restaurateur. Flatiron and Union Square are off the charts now. But the thing is: Danny Meyer is opening plenty of restaurants. So the fact that Union Square went away: It wasn’t a big landlord taking advantage of a small restaurateur; they’re both big boys. They both made the right decisions for themselves. And perhaps restaurants can bounce around without consequences, or maybe even benefit from the move. Possibly! He could just open Union Square Cafe in a place that’s designed to have him, as an amenity for either the apartments or the offices above him … Union Square was scary when Union Square Cafe first opened, and now it’s approaching Times Square-level rents. I live in the West Village, where there are so many vacant restaurant spaces. What’s up with that? The West Village is a good example because on Seventh Avenue South, there are a lot of vacancies. So that may be a sign of some kind of correction, where the restaurants that were in there recently tried to pay these high rents, and they just didn’t make it. So then now, there are a lot of vacancies and that may start to bring the rents down to a level where an independent restaurateur can actually make money in that space. How do you think this issue will progress? Hopefully, there’ll be some corrections so that we can get good, independent shops in certain neighborhoods. Either that, or we all have to be willing to pay a lot more for those places. We’re going to have to get used to spending $12 on a cup of coffee. I don’t believe that it’s going to turn New York into one huge billboard. I think there are certain neighborhoods — mostly Flatiron and Union Square — that have become so popular that they’re becoming closer to Times Square, and so those spots will become a little more touristy. Restaurateurs have to be willing to take a little bit more of a chance and be more of a destination. We’ll probably see Union Square Cafe end up somewhere like Hudson Yards, where they’re going to get all kinds of cool operators. The Financial District is crazy; it has all the downtown brands going down there. All of the places in the middle of the city will just be a little too expensive, so all of the cool stuff will just be on the outside perimeter, and into the outer boroughs. It’ll be like a radius that just keeps growing. You’ll just have to go a little further.